﻿ Best Price on Phidjie Lodge in Ojo de Agua + Reviews! Phidjie Lodge is located in the village of Ojochal. It features a green lagoon pool, free Wi-Fi and free private parking. 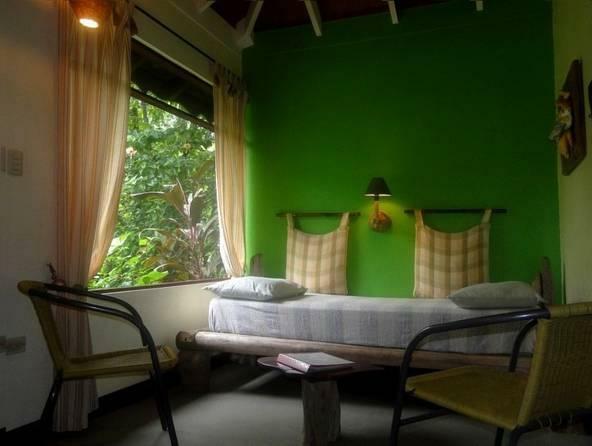 The bungalows offer wooden-colorful décor, sofa bed and a terrace with garden and pool views. The kitchens are equipped with microwave, fridge and stove, while the bathrooms come with shower. This accommodations can arrange activities like horseback riding, surfing, snorkeling, diving and boat rides to see whales and dolphins. Excursions to Manuel Antonio National Park and Osa Peninsula are available. Phidjie Lodge is a 3.5-hour drive from Juan Santamaria International Airport. A deposit of 30% is requested in the week following your booking. Payment can be done by bank transfer or PayPal. Payment before arrival by bank transfer is required. The property will contact you after you book to provide instructions. Please inform Phidjie Lodge of your expected arrival time in advance. You can use the Special Requests box when booking, or contact the property directly using the contact details in your confirmation.